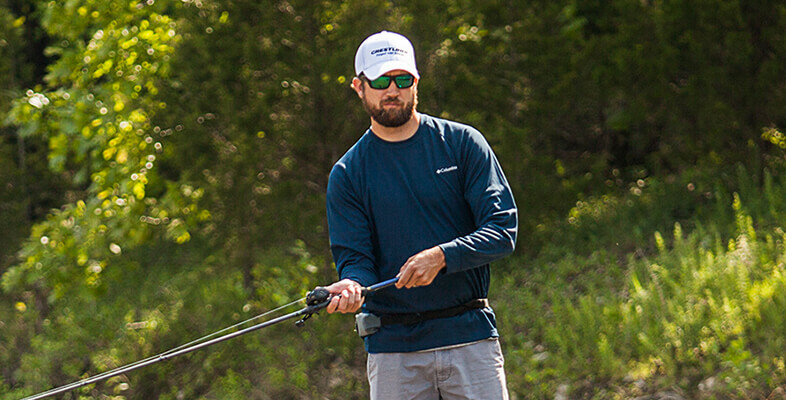 Casey Smith has been part of the Crestliner family for a while now as a Pro Staff member, but at the beginning of the season, he stepped into the big leagues when we invited him to become one of our National Pro Team Members. Casey grew up angling in his home state of Georgia and has been fishing bass tournaments since the tender age of 13. 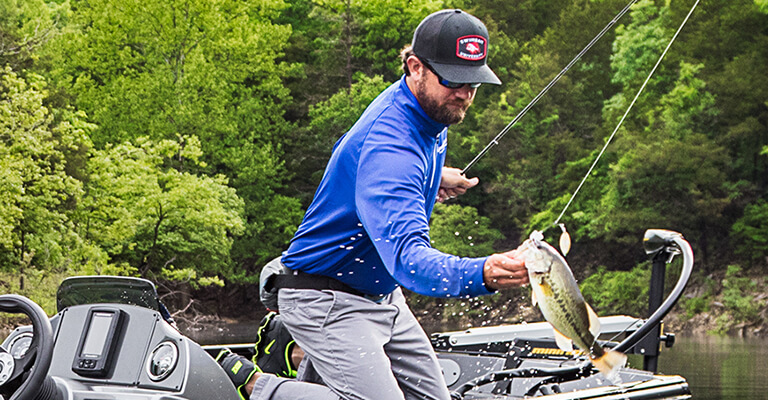 He’s fished in tournaments all over the southeast and has racked up a number of accomplishments including a 5th place finish at the Costa FLW Series - Championship in 2014 and a top 50 ranking in the prestigious Forrest Wood Cup. We sat down with him to ask a few questions about how he got his start in angling and what it’s been like to rise through the ranks. Q: Casey, where are you from originally? Casey: I’m originally from the Macon, Georgia area. I live just outside of Macon in a small town called Musella. Q: When did you start fishing and how did you get involved in bass tournaments? Casey: I started fishing when I was probably three with my granddad. Nobody in my family had ever really done any bass fishing growing up. It was always just, white perch, browns, some catfish. Growing up we’d stay the whole summer at the lake. They had these tournaments on Saturday, and back then you saw all these guys fishing for bass every weekend. I always liked it, and then ended up in a situation where I was able to hit a couple of nice ponds and caught some nice fish and was just hooked. As soon as I could take the boater safety course, I did, and I started fishing the tournaments. I pretty much never looked back from there. Q: What are some things you love about fishing out of a Crestliner? Casey: With Crestliner boats being fully welded and not having any leak issues it cuts out a lot of the potential problems you have with other aluminum boats, that sold me on them. And then the fact that I was on the Crestliner team when they added the PT. What they did as far as the amount of space and storage created in the PT is unbelievable. I mean, the front deck on that thing is probably one of the largest in the market with a beam of 96 inches. It’s larger than most fiberglass boats. It’s pretty convenient to have everything set up the way it is; it’s right there where you need it. Q: What are you most excited about now that you’re officially on the Crestliner National Pro Team? Casey: My background is in welding and fabricating, so being able to be a part of potential changes to a hull or a boat that I’m using will make things better for me and whoever purchases one. I really like that side of being part of the Pro Team. Q: On the rare occasion that you’re not fishing, what are some of your other hobbies? Casey: I’ve been very fortunate to have a lot of hobbies, I mean, I’ve raced just about everything with four wheels on it. But, I love bird hunting. I don’t care what kind of bird it is. There’s just something about working birds, whether it be quail, pheasant or duck hunting. I look forward to that every year. Q: Is there a memory that stands out when you think about growing up fishing with your granddad? Casey: There is, yeah. This one time, my granddad and I were trolling for crappies, and I decided I had enough of that. I wanted to catch some bass, so I just tied on something and started throwing it out the back of the boat while we were trolling. He kept telling me, “Son, you need to pull that up. You need to concentrate on those lines out the back of the boat.” And the next thing you know I hung a pretty decent bass, and it tangled up all his lines, and he got upset with me. But he figured out in the end that the whole bass fishing thing was probably gonna be a little more my style. Q: What exactly do you love so much about fishing? Casey: There’s just always something about fishing. I mean, you tie on your favorite bait, and you throw it, and that’s the only thing that connects you to a big fish. You put that thing out there and you might catch a 12-incher, or you might catch a 12-pounder. When it comes to catching fish you just have to be in the right place at the right time. You just gotta make it work. That’s what I love about it.